In Chinese medicine we believe when the environment changes we need to balance our lifestyle and diet. Acupuncture and Chinese Medicine can be used to help balance these. After Late Summer, Autumn drifts in with its associated dryness in the air, leaves begin falling from the trees, there are cooler nights and mild sunny days. The Autumn season is a time to harvest and gather our energy for the cooler months. 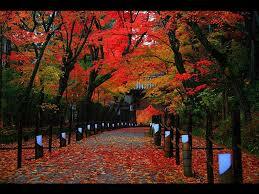 As Autumn drifts in, our Yang energy begins to decline and withdraw towards the interior of our body. Autumn is the season of Yin, and therefore we need to preserve our Yang energy. In the cooler months we need to nurture and build up our organs, fluids and blood. 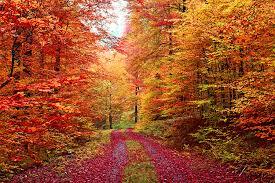 In Chinese medicine, autumn is associated with the lung and large intestine. The Lung in Chinese Medicine is very susceptible to dryness. They are affected by dry air in autumn, smoke from the bushfires, pollution, smoking and chemicals can invade the lungs causing an imbalance. Weather in Autumn can be very changeable. Common disharmonies of the lung and large intestines are respiratory conditions, poor immunity, skin disorders: psoriasis, eczema and dry skin, sinus infections, allergies, asthma or constipation. A series of acupuncture treatments will help balance these disharmonies. Once the disharmonies are balanced, we then aim to maintain your health and vitality. In Chinese Medicine, the Lung is associated with the emotion of grief, sadness and ‘letting go’. People find it difficult to let go of those long warm summer days. If you find it hard to let go at this time of year please come and get extra support through these months. Chinese Medicine can help by releasing emotional issues as well as physical ones. weather is cooling. This is our body’s natural way of nourishing in these cooler months. People who suffer from a weak metal energy may benefit from an autumn boost so come in and make an appointment at Rebalance TCM. Foods which can help boost energy and our Lung functions in Autumn are pungent flavours such as chillies, garlic, onion, mild curries, basil and oregano. Treating the dryness of autumn is a time to moisten the lung and large intestines through our diet. Suggestions of foods to eat include tofu, tempeh, spinach, barley, pears, apples, millet, persimmons, seaweed, mushrooms, almonds, pine nuts, peanuts, sesame seeds, eggs, crab or pork. White foods help to boost the metal energy. Foods to eat would be apples, cauliflower and pork, chicken and eggs. Another way to keep illness at bay, is to wear appropriate clothing. From a Chinese medicine point of view, as the weather becomes colder we need to protect ourselves from the elements of cooler weather, the wind and the rain. Wear appropriate clothing – begin to wear a singlet under your shirts and blouses. Always in Autumn, wear a scarf around your neck as this proetcts the bladder meridian which runs along the back of your neck. It will also help to mainatin body tempreature. Drinking warming teas such as Ginger and lemon grass, or Ginger and lemon is also benefical for your health in Autumn and coming into winter. Make sure you include lots of garlic in your cooking as well, as ginger and garlic are both natural immune boosters. To maintain and build up your immune system, I also suggest drinking a cup of my Immunity tea at least once a day from now until spring. Our family combines the Energy and Immunity together, which makes for a refreshing and aromatic tea.